​Day 01: Dhaka Whether you’re already in Dhaka or arriving at the airport, we will pick you up and take you to your hotel for check-in. 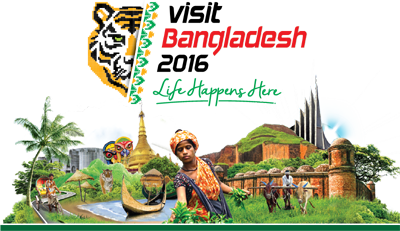 If arriving at Shahjalal International Airport, a tour representative will greet you as you exit the arrivals terminal. Spend the rest of your day at leisure before your itinerary begins the following day. Day 02: Mainimati Ruins After breakfast drive to Mainimati Ruins, Comilla and visit the most impressive archaeological site Shalban Vihara, Mainamati Mesuem (closed on Sunday. Open from 3pm hrs to 4:30pm on Monday), Rupban Mura, Itakhola Mura and Lotikot Mura. In Mainamati, there are many archaeological spots like Itakhola Mura, and Rupban Mura that are very important for Buddhism. From there you'll head out for Cox's Bazar. Arrive Cox’s Bazar at 8 pm and check in hotel for stay overnight. Day 03: Cox’s Bazar Beach After breakfast drive to Cox’s Bazar Beach. After lunch drive to Inani Beach to enjoy the spectacular sandy sea beach. The journey of the marine drive in the back drops of forested chain of hills is very fascinating. On your way back visit the Himchori. Back to Cox’s Bazar hotel for overnight stay. Day 04: Saint Martin At 06:30 am you will start for Teknaf. You will be Teknaf around 08:30 am. You Board on Sea Truck at 09:30 am for Saint Martin Island. You will be Saint Martin around 12:00 noon. Then you will board a speed boat to visit Chera Dwip which is a beautiful part of this Island. You will back Saint Martin Island by 01:00 pm. Have a quick lunch at local restaurant. Then start to explore Saint Martin Island by a van. Saint Martin is a small but very beautiful coral Island of Bangladesh. The Island is a very quiet, neat and clean place. Every corners of this Island has different look and are very attractive. Here you will find live and dead coral, lots of coconut trees. At 03:00 pm you will boar Sea Truck to back Teknaf. On arrival Teknaf around 05:30 pm start for Cox’s Bazar by private car. You will reach Cox’s Bazar around 09:00 pm and check in hotel for overnight stay. 5 nights accommodation (twin sharing basis). Pickup and drop-off at Shahjalal International Airport or your centrally located hotel in Dhaka.